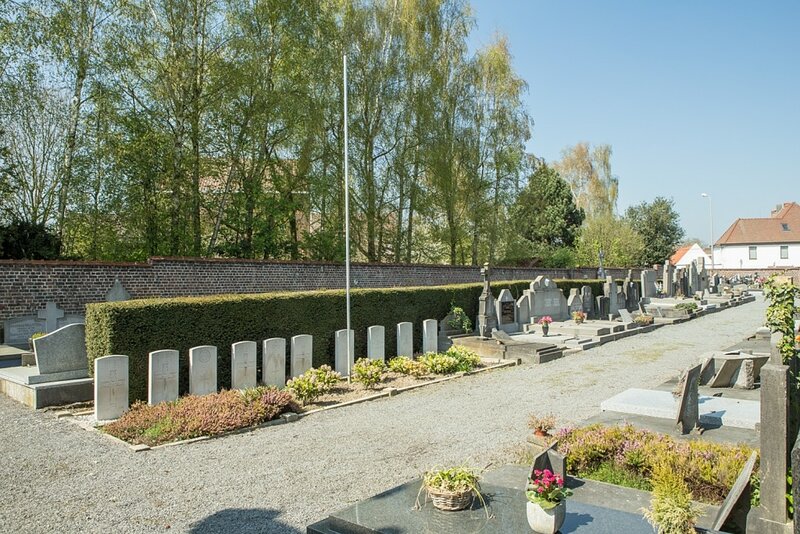 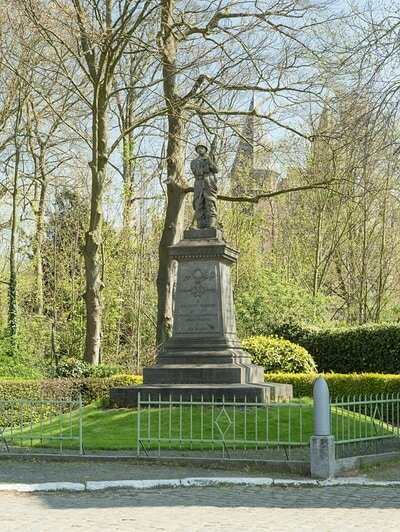 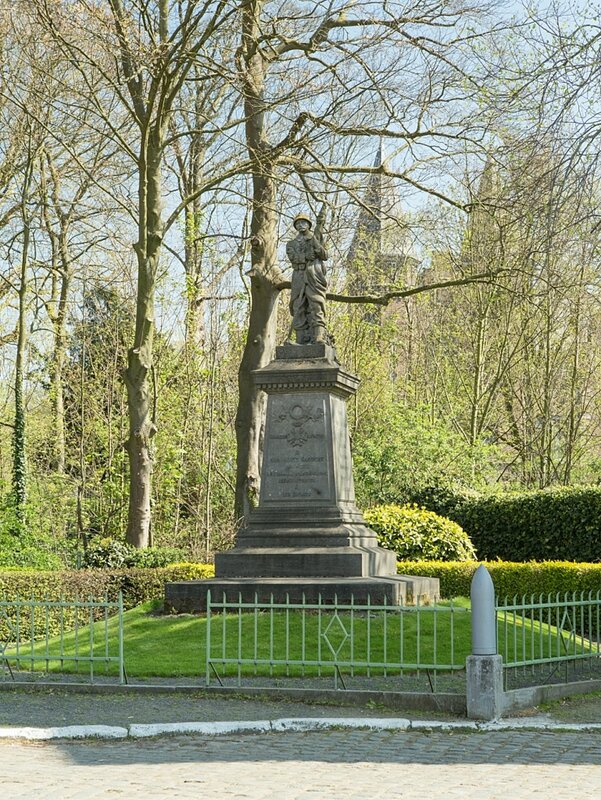 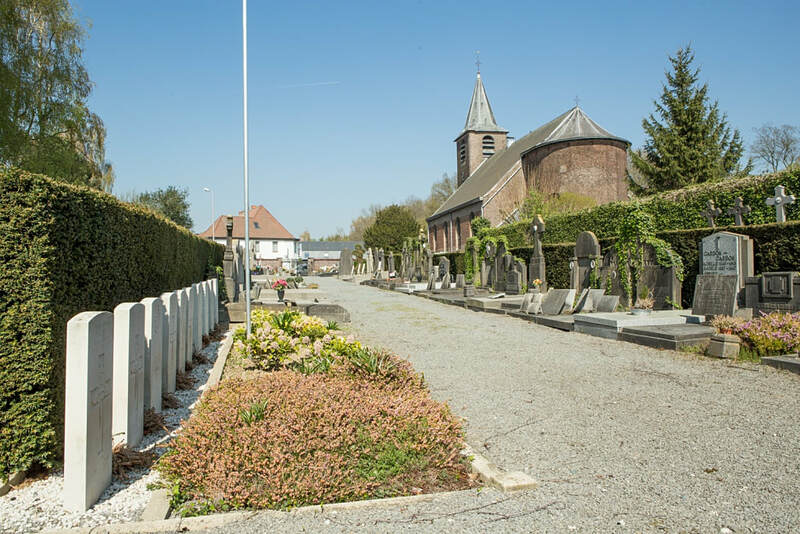 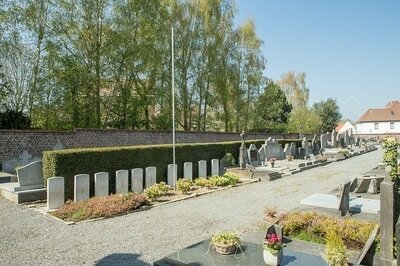 Estaimbourg Churchyard is located 10 km north of Tournai on the N510 rue de Lonnoy, a road leading from the N50 connecting Tournai to Kortrijk. 10 km north of Tournai lies the village of Pecq and the left hand turning onto the N510 towards Estaimbourg. 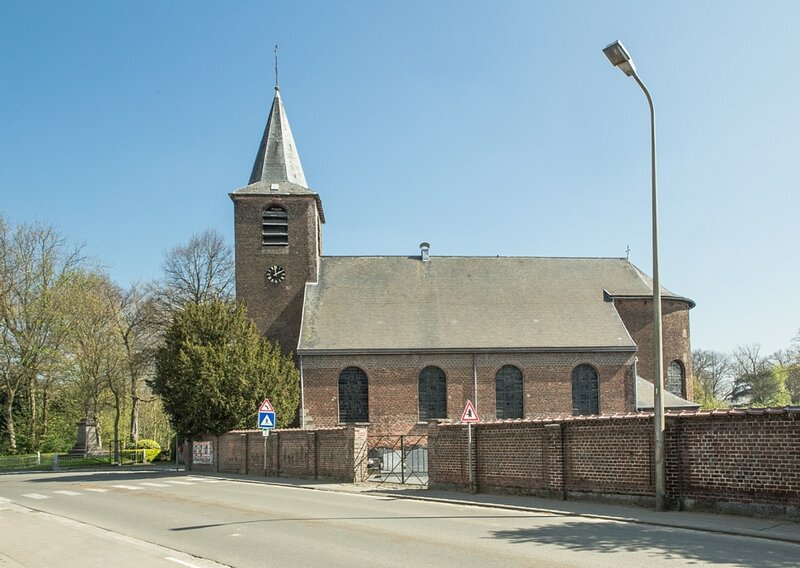 1 km along the N510 lies the village of Estiambourg and the village churchyard which is located on the left hand side of the road. 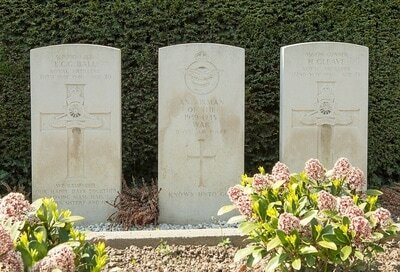 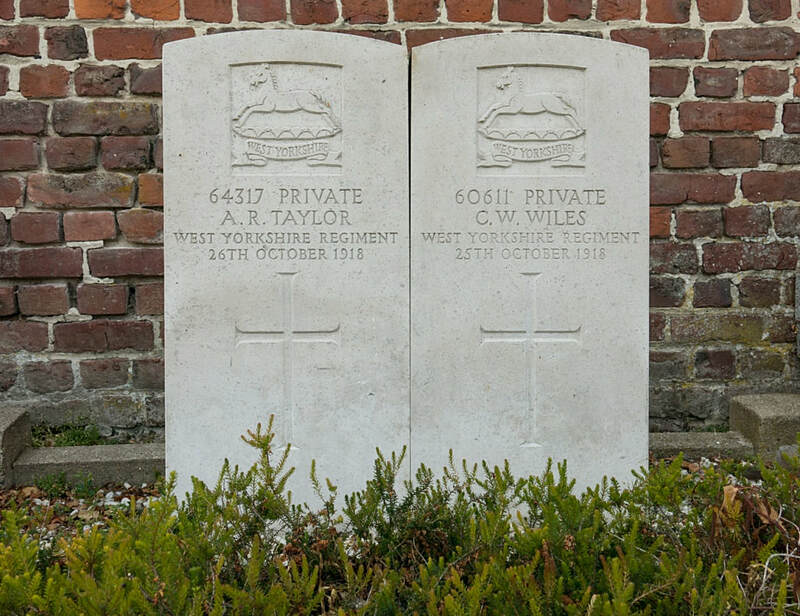 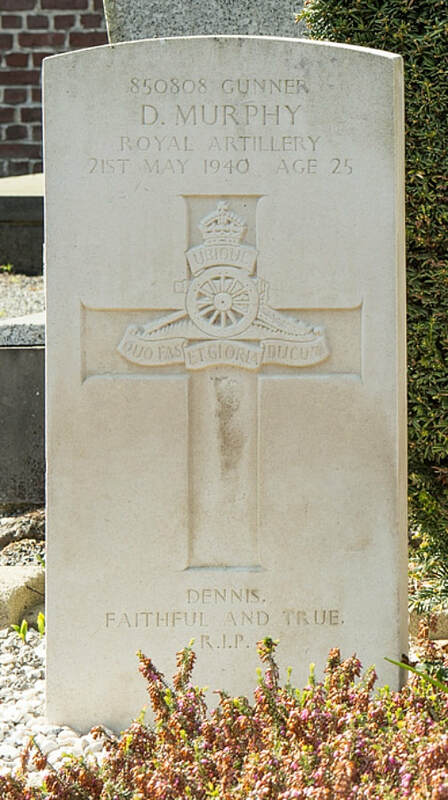 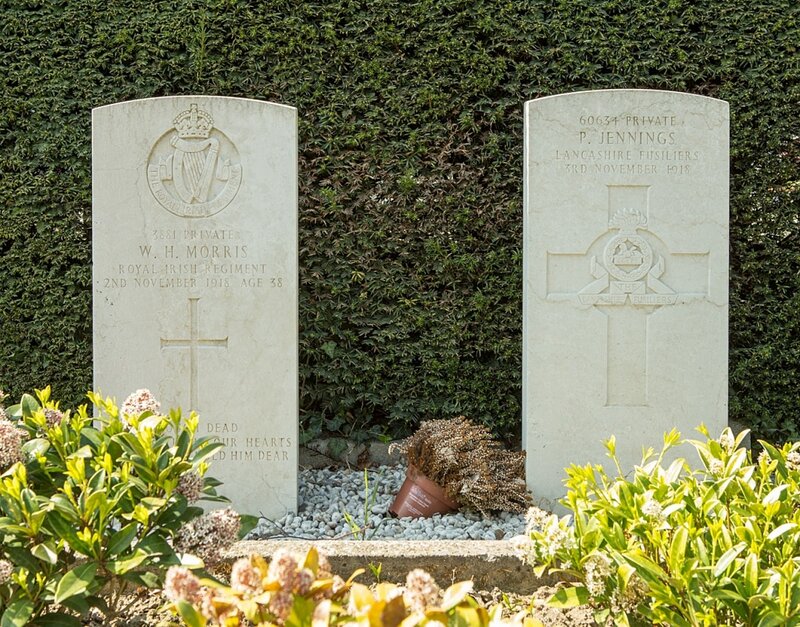 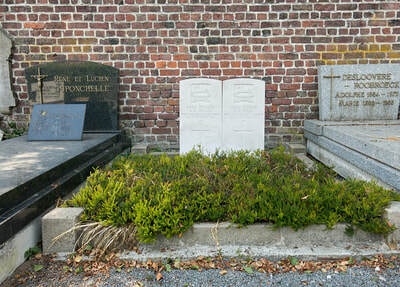 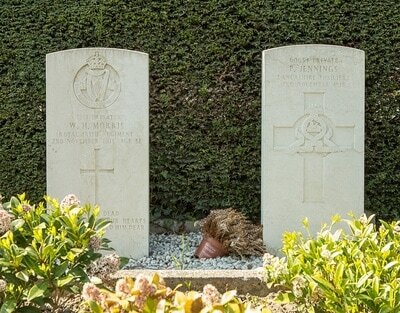 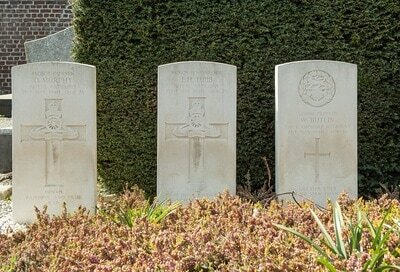 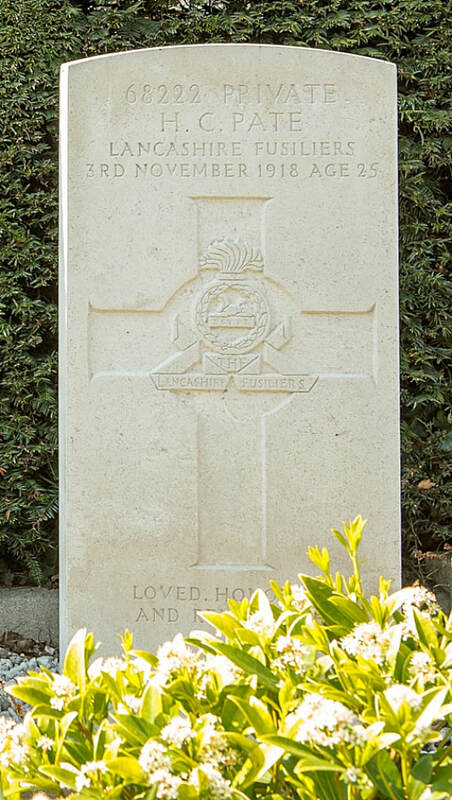 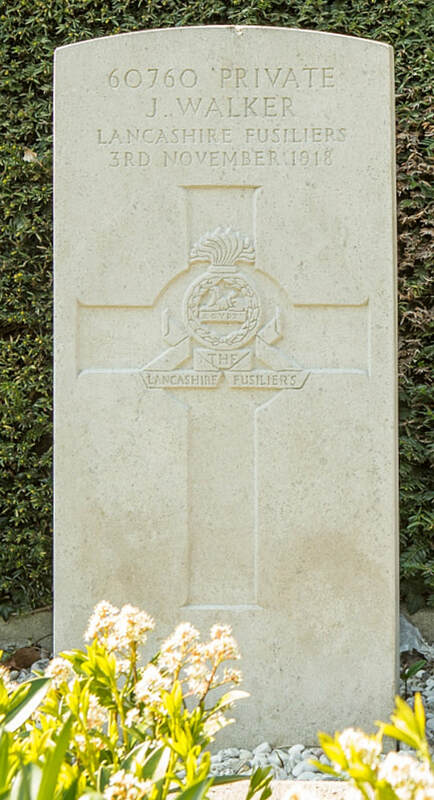 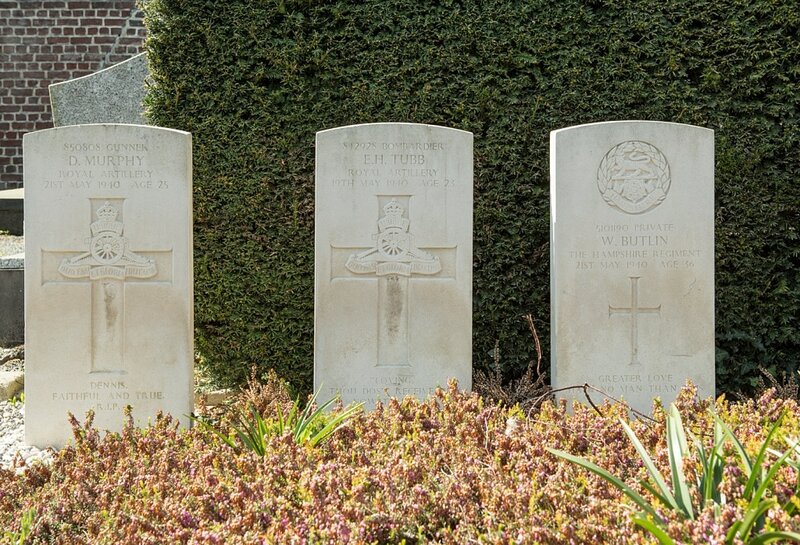 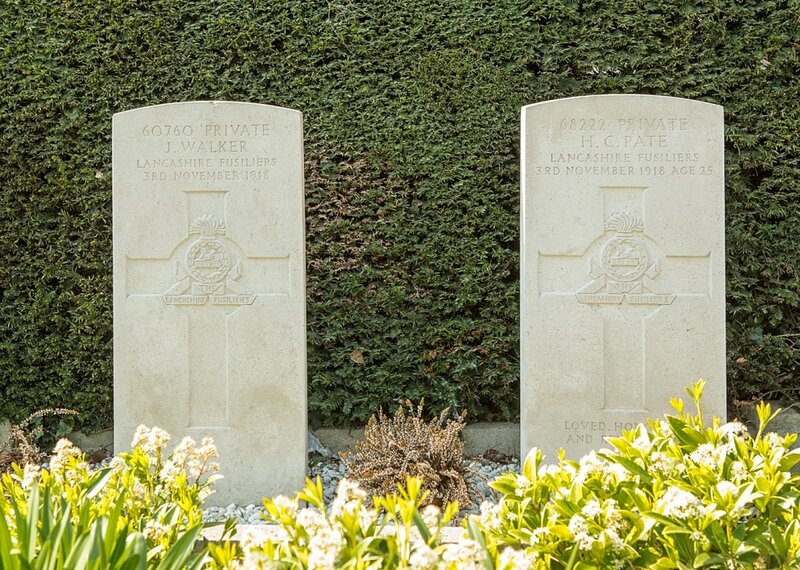 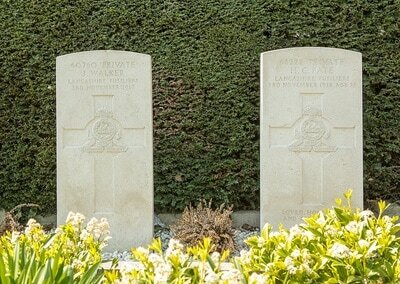 Estaimbourg Churchyard contains six Commonwealth burials of the First World War, three of which were due to a direct hit on nearby billets of the 23rd Lancashire Fusiliers in November 1918. 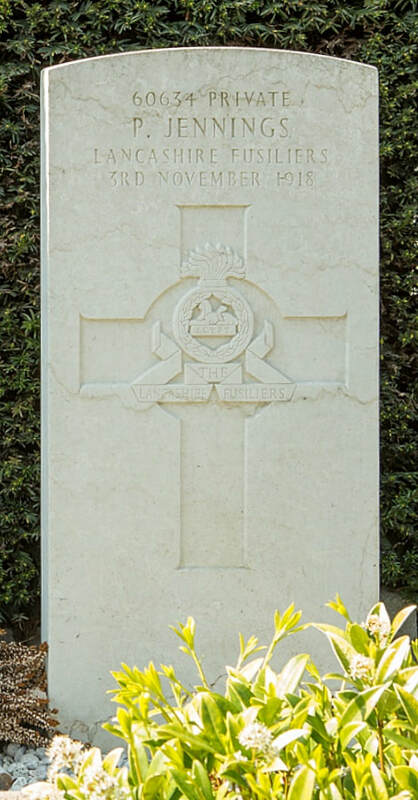 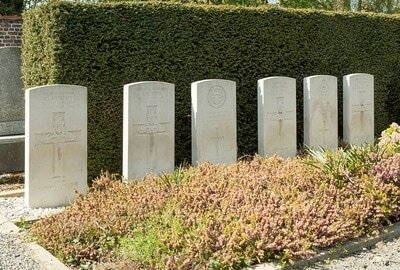 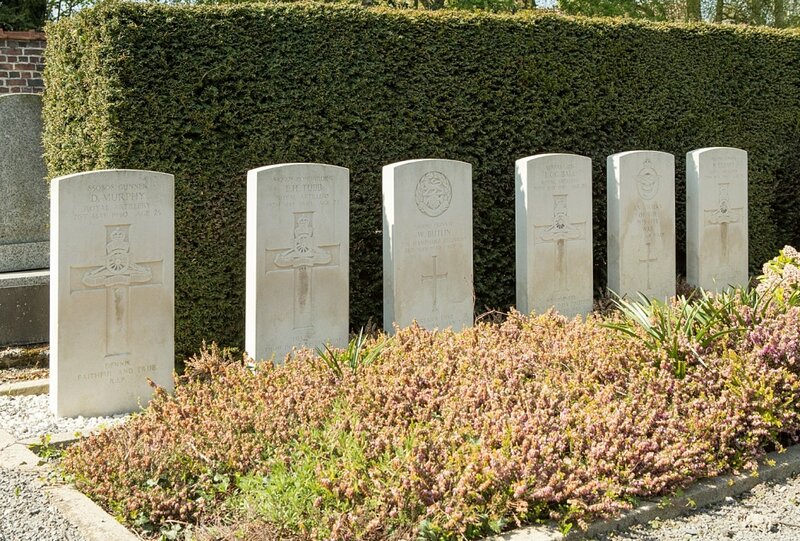 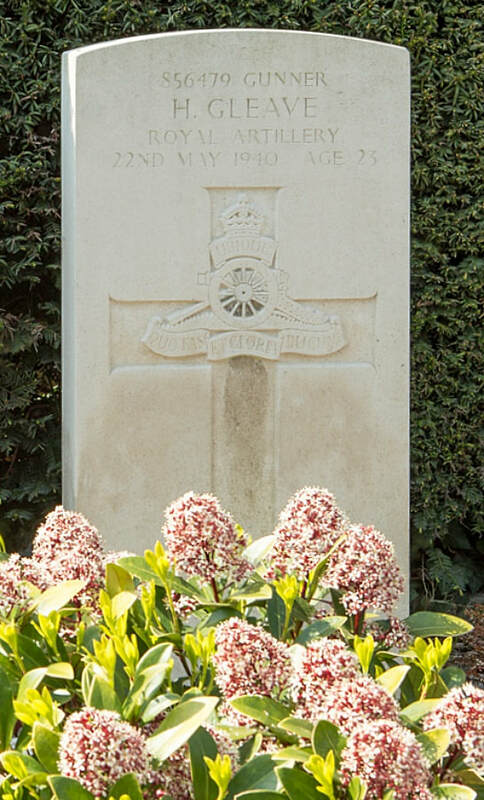 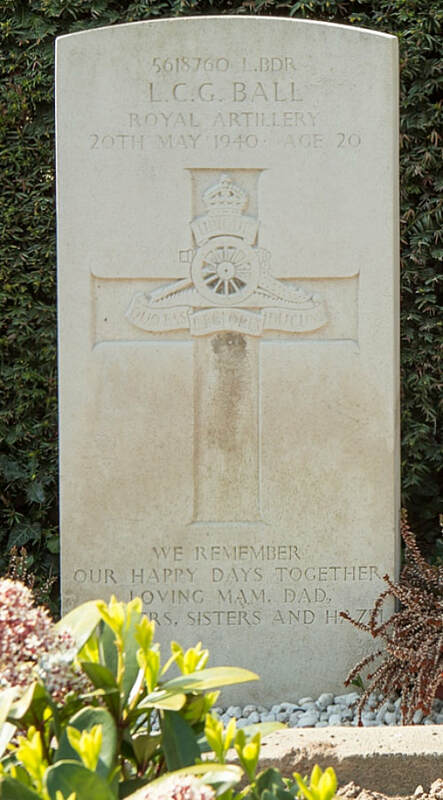 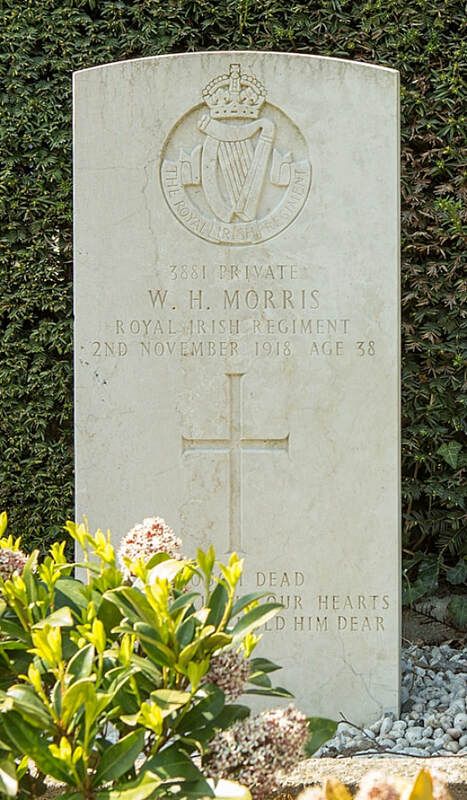 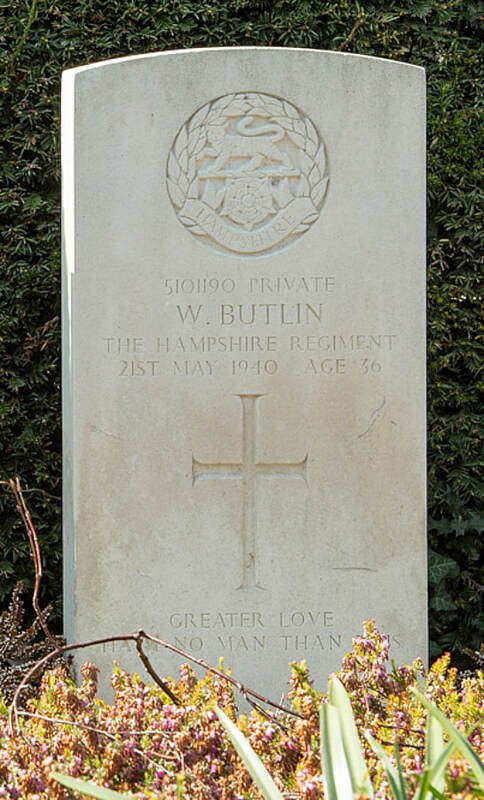 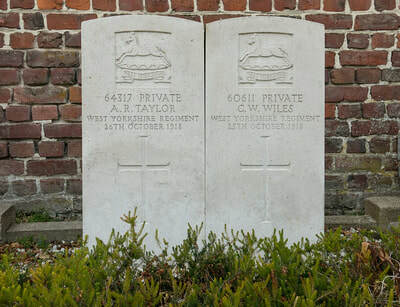 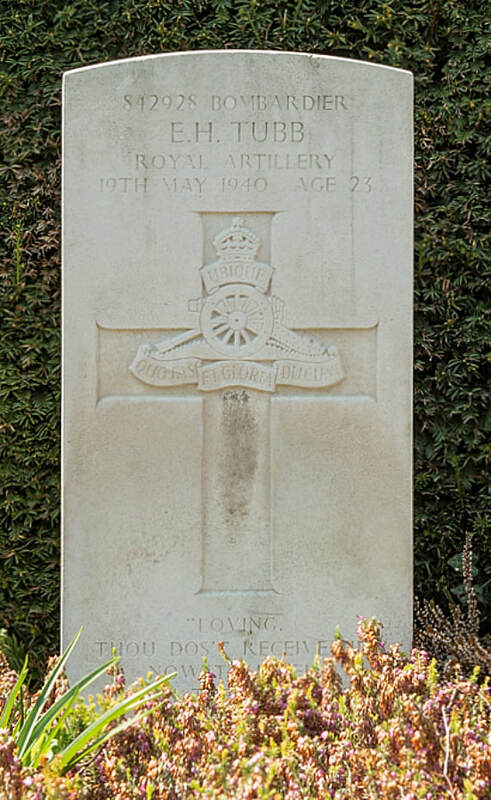 The six Second World War burials (one of them unidentified) date from May 1940 and the withdrawal of the British Expenditionary Force ahead of the German advance.